Joellen Killion and Learningforward have produced a great resource for instructional coaches and school leaders. 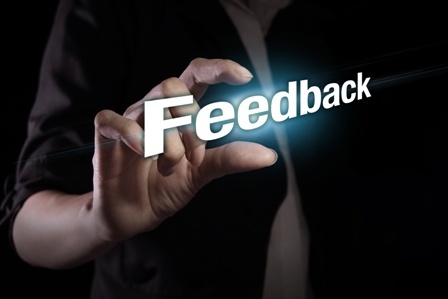 The Feedback Process: Transforming Feedback for Professional Learning provides ways to examine and improve your practice in supporting continuous teaching improvement. This feedback is more of a product than a process. The teacher receives the conclusions or data collected by another. While the feedback may come in a conference it is mostly one-sided with the clear roles of a provider and receiver of the feedback. Since unidirectional most frequently occurs in supervisory types of conferences, instructional coaches need to be careful of teachers’ interpretation of unidirectional feedback as evaluative. This is the reason I rarely use written/emailed feedback when coaching. This feedback now moves from product to more process. The teacher is invited to engage in conversation about her practice and her understanding of how it relates to an ideal. The learning partner may plan the sequence of the conversation as well as the intended outcomes of the conversation and practices to recommend. Often in conversational feedback the learning partner uses her knowledge to collaboratively analyze data, generate learning from the analysis and plan next actions. This feedback promotes metacognition, reflection, construction of new knowledge, and deconstruction of that knowledge to question its meaning and application in diverse situations. When learning partners are engaged they serve as facilitators and listening partners, clarifying, probing, and summarizing the learner’s process. The learning partner is a process facilitator not a content expert. In fact, expertise can interfere as the coach forms his own perceptions about effective practice and wants to be helpful. These three feedback options parallel a coaching continuum I have used to demonstrate kinds of coaching a teacher might request. I request expert feedback when my learning partner has a skill set or experience that I want her to bring to bear on assisting me in gaining successful practices. After teaching middle grades for five years, I became a first grade teacher. Fortunately, I was teaming with a teacher who had five years of experience with first grade. I was in desperate need of her expert feedback regarding my work with beginning readers. Her expertise shortened a trial and error learning process that would have been too costly to my students. Peers with similar backgrounds working on a common problem are operating in the middle of my continuum, sharing responsibility for drawing meaning and direction from the feedback process. When coach and coachee agree on the type of feedback being sought and stay true to the process trust is built, transparency and risk taking are increased, and teaching practices are advanced. I attended 2 days of training with Joellen based on her book. It was so beneficial! I will think closely about the types of feedback needed for different situations. I have been sharing her work with my new peer coaches.